These took one month to pickle and the result was outstanding! I have made many things with my pickled lemon rinds. I have slivered and added them to salad, I have included them in sauteed escarole with olive oil and garlic. I enjoyed couscous and garbanzo beans with veggies and lemon rinds. I have made a dessert with melon balls and a few blueberries drizzled with expresso flavored balsamic vinegar and garnished with slices of pickled lemon rinds. All so, soooo good! I could imagine a combination of finely diced pickled lemon rinds, roasted and sliced almonds and a bit of chopped parsley as a topping for broiled tofu. Or take the sliced almonds, diced lemon rinds and parsley and add some vinegar, a little orange juice, olive oil and a bit of something sweet like mirin or brown rice vinegar as a dressing for steamed fresh green beans or cauliflower. I have also entertained the idea of margaritas made with preserved lemon pulp and garnished with the rind or a smooth martini garnished with a pickled lemon rind. I don’t drink margaritas or martinis but I bet it would be excellent. I’m sure any of you who are good at cocktails could come up with some fabulous creations. Today I’m making a Pico Di Gallo using preserved lemon rinds. And what is Pico Di Gallo and why is this different from salsa you ask? (I did ask.) 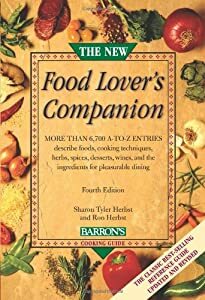 According to one of my new favorite cooking references, The New Food Lover’s Companion, Pico Di Gallo means “rooster’s beak” and refers to eating it out of the bowl with your fingers. Pico Di Gallo is made with raw ingredients while salsa can be cooked or raw. Usually Pico Di Gallo is not as liquid-y as salsa and it often has ingredients not found in salsa such as cucumbers or tropical fruits. 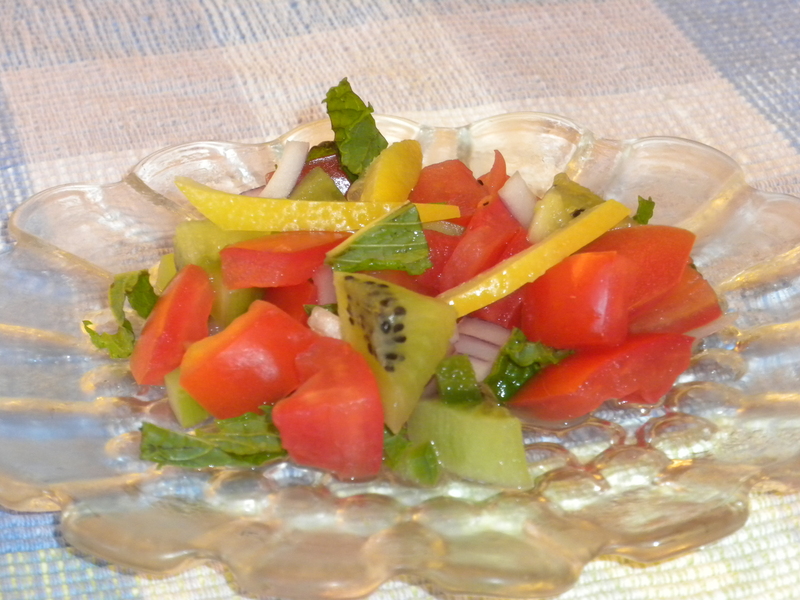 In this recipe, I used pickled lemon rinds, kiwi and fresh mint. This is strictly experimental, so you and I may both be on the cutting edge of a new culinary delight. There is nothing fussy about this, just put in the quantities you think are right. Celery is also not a common ingredient for Pico Di Gallo but I like the added crunch and since I like only a little Jalapeno, I find the celery cools the overall dish down for me. Sometimes garlic goes in Pico Di Gallo but I didn’t want to try a dish with garlic and kiwi together. The kiwi makes for incredible color and I like the taste combination but you could go with more traditional mango instead. And finally, you can certainly use cilantro but it isn’t my favorite taste and I thought the mint would be very refreshing. The verdict is in! This Pico Di Gallo is refreshing and delicious. A sublime twist to a popular dish. This entry was posted in Cooking, Recipes and tagged Condiments, fresh mint, kiwi, margaritas, martinis, pickling, Pico Di Gallo, preserved lemons by mycookinglifebypatty. Bookmark the permalink. This is the second blog ever, and within a month, that has mentioned pickled lemons…hmmmm…must look into this! We love pico di gallo, especially at this time of year. I shall have to try your recipe, Ms. Patty! Great! Us too! Let me know how it turns out. Are you going to preserve lemons for it?